PDXpert PLM software has been designed to support a wide variety of part numbering systems, including manually-assigned intelligent part numbers, category-based semi-significant part numbers, and easy-to-manage sequential part numbers. But which approach is best practice? Part 1 describes how to design a short, sequential, non-significant part numbering system, and why this has become preferred engineering practice. Part 2 (this note) explains why "smart" part number schemes are complex, fragile and expensive — yet offers some useful rules anyway. For this discussion, the terms smart number, intelligent number, significant number are all used to indicate the same idea: the part's number reflects some of the part's properties. Meet design requirements by clearly distinguishing one part from other parts when the difference is meaningful. Ensure procurement and production efficiency by ignoring differences when these are irrelevant in the application. To meet these goals, formal part numbering systems and document identification schemes were established many decades ago. Prior to computers, a basic consideration was that unstructured information was very difficult to find, and it was therefore necessary to overload document identifiers and part numbers with search-related "helper" data. In the absence of better alternatives, this approach and the resulting practices represented reasonable, though costly and cumbersome, compromises. There's an almost mesmerizing fascination, even an obsession, with designing the perfect part numbering system. Everyone starts by envisioning how convenient it would be to tell, at a glance, the important characteristics of a part, or the document number that describes the part. Yet, after more than a century of industrial production, the goal remains elusive because each person has a different idea of what part attributes are important — and that person's opinion will change over time! A fluid idea of usefully encoded properties inherently conflicts with the part numbering system's essential role in establishing an unchanging reference to an item. Let's first examine the two possible extremes: encode all meaningful attributes in the part numbering system, or encode no attributes. It's immediately obvious that a part numbering system that encodes all meaningful attributes of each part would be impossible to manage. This "super-smart" part number could potentially include: all physical dimensions, materials and properties; design file types; environmental limits; contract & regulatory conformances; purchasing and inventory management characteristics; customer/project IDs; licensing or legal constraints; accounting treatment rules; maintenance & servicing intervals; field interchangeability properties; inspection and test procedures; and a host of other attributes. A super-smart part number could easily be longer than the part's description! Obviously, if we are forced to the extremes, only a non-significant part number is viable. However, suppose we take a middle path, encoding "important" attributes in the part number, and leaving other attributes to the part description. Which of these attributes shall be favored? In theory, a significant numbering scheme permits all users to accurately identify all useful characteristics of all parts. In practice, some people can learn to decode some useful characteristics of some parts, while making some errors in assignment and interpretation. Consider the part record in a typical PLM system. It has description, lifecycle, change history, trustee; unit of measure; cost; storage or handling advice; possibly a bill of materials or approved sources; reference documents and tooling; chemical substances and reactivity; regulatory and environmental compliances; mass; design files; and reviewing authorities. These design-related properties don't yet account for downstream properties for purchasing, manufacturing, warehousing, quality, shipping, technical support and field service. Of course, whoever designs the part numbering system will decide the "useful" attributes: engineers will focus on technical properties (size, weight, power, tolerance, material, etc. ); CAD management might want to identify required fabrication, assembly or ancillary data; purchasing agents may prefer procurement attributes (make/buy, vendor, and commodity codes); production may desire handling codes, cycle time, yield, tooling and fixture dependencies, shelf-life limits, and plant, line or bin locations; sales and customer support will certainly agree on embedding customer identifiers; and finance will want to encode general ledger accounts, project codes and purchase authority. Quality, marketing, legal, and field service will have their own competing views. The part number designer also gets to decide the encoding: numeric and/or alphabetic characters, dashes, slashes and more. Even when compressed to the extreme, these criteria require us to abandon our human factors constraint of 7 numeric characters. And the original goal — a stable, unchanging number — becomes impossible as your company adds employees and suppliers, extends the set of useful characteristics, creates new parts (and part categories), and discovers errors in earlier number assignments. At the outset, one group designs a somewhat useful part number scheme for themselves (with a perhaps tolerable error rate), while everyone else lives with an obscure and costly system. However, there's still one more factor: although a non-significant system is inherently resilient, smart numbers often fail. Significant numbering schemes are quite fragile. Mistakes are often made in encoding the part description into the number, some of which can be quite costly. The engineers who "know the code" use the part number, everyone else reads the part description. If a part's number says "10 amp fuse" while the description is "1.0 amp fuse", a lot of product can get shipped or serviced with the wrong fuse. You can never simply ignore an incorrect part assignment. Otherwise, the category number becomes an unreliable indicator of its content. An aluminum casting that's accidentally assigned to the steel castings category requires an engineering change and full dispositioning. And the error becomes more painful if your number has been cast, engraved, etched or printed on the part. If there are a series of items (O-rings, screw lengths, resistors) with a common base number, one bad part assignment may block a future assignment, and therefore require that the entire series be renumbered. Overlapping or ambiguous categories are functionally equivalent to having no categories, since predictability is lost. For example, is it immediately obvious that an LED is a "display" and not a "diode" ... or an "indicator"? Who's to say, and how do they protect the original definitions over the next few decades? Categories become over-used ("Miscellaneous"), ambiguous ("Hardware"), or irrelevant ("Vacuum Tube"). Designers may be tempted to apply the numbering rules to assign their own fully-significant part numbers as a shortcut, rather than rely on the approved number creation procedure. Highly-predictable placeholder numbers can spontaneously appear during design, yet may never get formally released by engineering or forecasted by production. Proprietary information — such as material, value or precision — may be encoded, and is therefore discoverable by third parties. Encoded attributes may force unnecessary new part numbers despite on-going interchangeability. For instance, a brass part is revised to use stainless steel; if the base material is reflected in the part number, this revision forces a new number even though the new part is completely interchangeable in the application. Merging multiple numbering systems, whether through acquisition of a new product or company, or just when the previous system is deemed obsolete, is often extremely time-consuming to reconcile. There's always pressure to make long part numbers even longer: existing categories overflow and new categories are added to differentiate similar items. And most people will become annoyed using many more characters than are really needed. Avoiding these errors requires additional human and/or automation resources for the initial design, as well as on-going monitoring. The cost of processing engineering changes to re-issue an incorrectly-defined part may easily wipe out any hoped-for advantage of the intelligent part numbering system. OK, so for good reasons — say, your boss insists on it — you must design a significant part number scheme. What then? Use a consistent length, and keep the part number as short as possible – never more	than 15 numeric characters. Break long part numbers into segments of 3 to 5 characters each, and use a hyphen ( – ) as the delimiter between segments. Avoid marking numbers on parts to reduce rework risk. Document how to handle part assignment errors. A part fulfills a function, and has characteristics deemed critical to that function. Focus on the form, fit and function properties that address the requirement. However, never encode trade secrets related to materials, processes and other proprietary knowledge – even where such information reflects essential part characteristics. In other words, specify what the part is, and skip the part's who, when, where, why, how. Where the business rules are fundamentally coupled to the physical part, they'll sometimes be embedded in the part number. So, in a "semi-significant" numbering system, an electrical component may start with "10" and consumables may begin with "20", but each part within the category is assigned a sequential, non-significant identifier (e.g., 10-0001, 10-0002, ... and 20-0001, 20-0002, ...). If the business rule or attribute could change over the life of the part, then it can't be used as a category. You'll want to keep the categories generic and unambiguous. Do not create groups that have no distinguishing business rules, or that require any thought about whether a part belongs to one category or another. For instance, in the vast majority of cases an "electronic component" number will be quite sufficient, and there's no need to create separate Resistor, Capacitor and Diode commodity code prefixes. These parts types, even with separate and unique custom attributes, can all share the same part number format. Category prefixes are subject to the same problems as any other intelligent part number scheme. Nonetheless, they may be a good compromise when an older "smart" number scheme must be redesigned, and some users aren't ready to give up all significance. A non-interchangeable change to an existing part that requires a new (but not too new) part number. A member of a part "family" that shares most characteristics with other family members, but varies in only a few properties (resistor value, screw length, O-ring diameter, etc.). The physical implementation of a related drawing or specification (e.g., document 12345 defines part 12345-001). Part number suffixes are often 2 or 3 added digits (-01, -001) which makes all part numbers longer even if the vast majority of parts never require more than one, or at most a few, variations. For example, some consumer products companies seem to have settled on "six-dash-three" (like 655228-001), with the vast majority of parts having only one variation (-001). There are occasions when some part families extend beyond the "standard" (e.g., even a -000 suffix can't support high-precision resistors), in which case the range of values must extend into the main number. A set of logical incrementing values (e.g., length of 1 cm is -01, 2 cm is -02, 3 cm is -03, ...) is broken when unplanned values (e.g., 2.4 cm) must later be included in the series. The risk of coding error remains and the entire family may require renumbering if a part gets incorrectly assigned to a value that later cannot be used for the correct part. Parts and documents have different lifecycles and therefore synchronizing part and document numbers is no longer a useful practice. Having a common base number may suggest interchangeability that's not intended. Clearly, there's no question when part 200061 is replaced by 310503. However, if part 20006-02 isn't immediately available, will the servicing technician consider 20006-01 to be "close enough"? While applying a related-part suffix is certainly feasible, the practice isn't ideal. Your numbering rules should fully specify the suffix format, its definition(s), how to use it and how to fix assignment problems. An intelligent number scheme is an expensive investment. Your company will be using the new number system for years, maybe decades. It's worthwhile investing the time to validate your design. Recruit 3 to 5 users in engineering, purchasing, inventory management, production, sales and field service who didn't participate in the scheme's design. Usefulness Briefly explain (with examples) the number scheme rules to your test group. Discuss whether all of the rules are helpful and efficient. Design clarity Provide a list of 10 typical part descriptions to your test group, and ask them to create the appropriate part numbers. How long does it take to create each part number? For each description on the list, do all users create the same part number? Interpretation accuracy Create 20 part numbers that represent a broad set of different part types. Ask testers (including those who don't use written guidelines in their normal tasks) to interpret each part number. Note how long it takes to interpret a number, and whether there are any errors. Error recovery Discuss the rules for fixing an item where the number doesn't match its description, and how they're applied to parts at various stages in your supply chain. Clerical speed and accuracy Ask someone to read off 33‡ parts numbers to testers who writes them down. Compare the results. A good system allows quick copying with minimal transcription errors. ‡ For comparison: test a list of 33 non-significant 6-digit part numbers (which contains, on average, about one error). Part revisions are not included in the identification of the physical part because, by definition and best practice, all revisions of a single part number are interchangeable. Consequently, all revisions of a part number can be intermixed in a single inventory location. If this isn't true, then you don't have interchangeable parts, and they require distinct part numbers and inventory bins. For a more detailed discussion, see Do parts have revisions? 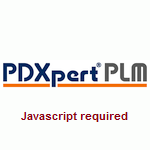 PDXpert PLM software makes it very easy to adopt a non-significant numbering scheme. PDXpert software can be used to auto-generate part numbers, and its free-form (Google™-like) text searches make part look-up quick and simple. Like most part numbering software, PDXpert PLM software can follow industry part number best practices by sequentially assigning document and part numbers. If you help your users by separating your part numbers into short groups (e.g., 1234-5678), PDXpert PLM software will ignore the delimiting characters when incrementing: 1234-9999 is followed by 1235-0000. If your part numbering system uses a "semi-significant" scheme, PDXpert PLM software can assign document and part numbers based on your defined item types. Each part and document template can "subscribe" to a unique or shared item numbering format that permits category prefix (e.g., "HW-"), sequentially-assigned base number, and a fixed suffix (such as "-01"); the next part number from HW-12345-01 will be HW-12346-01. Users can further modify these assigned values as needed. And, if your company must use an	"intelligent" part numbering system that requires human interpretation and assignment, PDXpert PLM software will accept manually-entered document and part numbers for all of your items. The software easily accepts mixed schemes, such as importing legacy significant numbers while auto-assigning shorter non-significant numbers. Duplicate part numbers are automatically prevented based on rules that can optionally include part or document class and/or type subclasses. When creating a new part record, users are prompted for consistent item descriptions using "text templates" based on the part type. A specifying designer can provide unit costs for part list roll-ups. Each part can have its own supplier source parts list, which includes the ability to rank preferred usage. Users can add a virtually unlimited number of file attachments that are either "locked down" on item release, or can be modified throughout the entire part life cycle. Even non-technical users can easily find parts by relying on familiar "Google-like" free-form text searches that not only return the most relevant parts, but also can return similar items that may be substituted, with the resulting part list ranked by relevance. Complete part histories are tracked by releasing and canceling parts revision records using change forms.